DAYTONA BEACH, Fla. — Superstar vocal group Rascal Flatts will perform the pre-race show at the 60th annual DAYTONA 500 on Sunday, Feb. 18 (FOX, FOX Deportes, MRN Radio and SiriusXM Radio), the opening race of the 2018 Monster Energy NASCAR Cup Series season. Rascal Flatts recently released their 10th studio album (Big Machine Records), as well as back-to-back chart topping singles “Yours If You Want It” and “I Like The Sound Of That.” Known as one of the hottest-selling touring acts in any genre with over 10 million tickets sold and as the best-selling country vocal group of the past decade, Rascal Flatts has sold over 23.4 million albums, over 34.3 million digital downloads worldwide, as well as earning over 40 trophies from the ACA, ACM, AMA, CMA, People’s Choice and more, also making them the most awarded country group of the past decade. 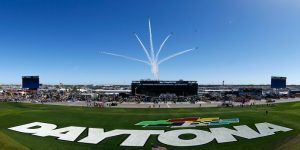 All race fans who purchase a UNOH Fanzone/Pre-Race pass for the DAYTONA 500 will be able to view Rascal Flatts’ DAYTONA 500 Pre-Race Show – as well as driver introductions – from the grass tri-oval area. A limited number of DAYTONA 500 Pre-Race Show ticket packages, available starting at $240, have been designed around Rascal Flatts’ appearance. The package includes a DAYTONA 500 ticket, UNOH Fanzone/Pre-Race access and VIP area access to the performance. Race fans who have already purchased DAYTONA 500 tickets can add UNOH Fanzone/Pre-Race access and VIP area access for $115. All VIP ticket packages are on sale now.